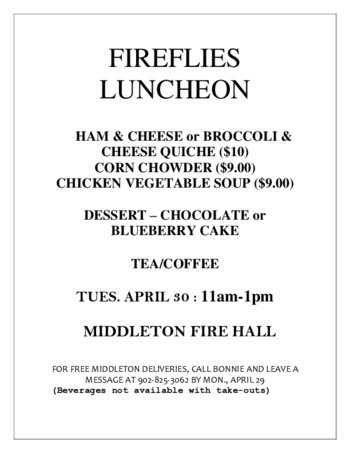 Fireflies Luncheon - join us for a delicious home-cooked meal. 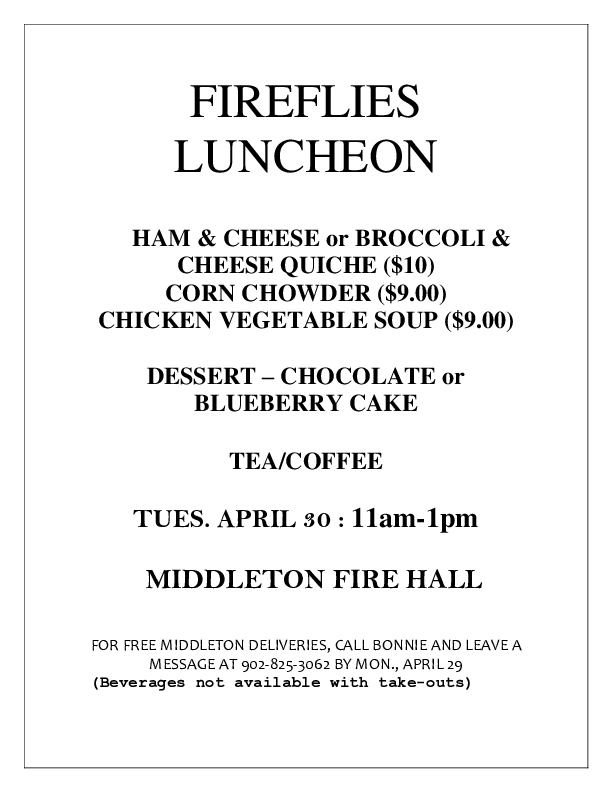 Menu - 2 kinds of quiche, corn chowder and chicken vegetable soup, followed by chocolate or blueberry cake. Yum. Free local home or business delivery can be arranged by calling Bonnie @ 902-825-3062 by Monday, April 29.